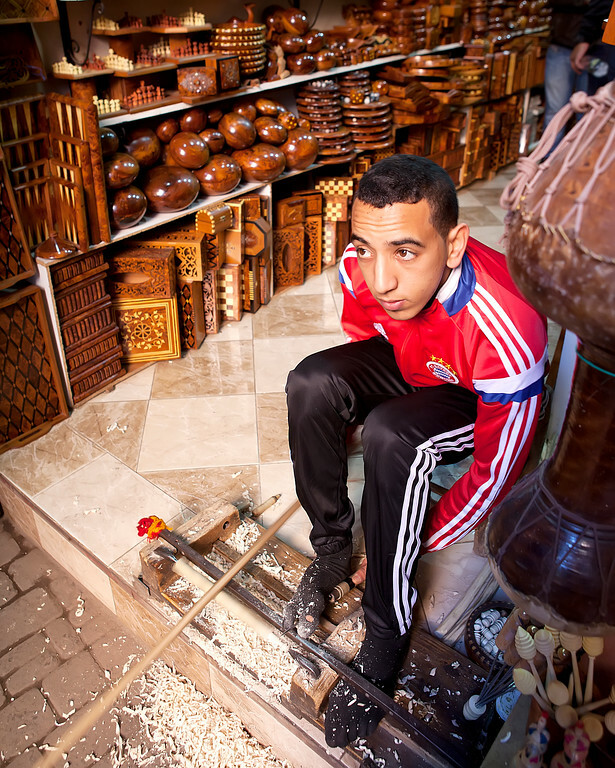 Wandering through the market in Marrakesh we came across two guys in a shop taking turns working on a bow lathe. 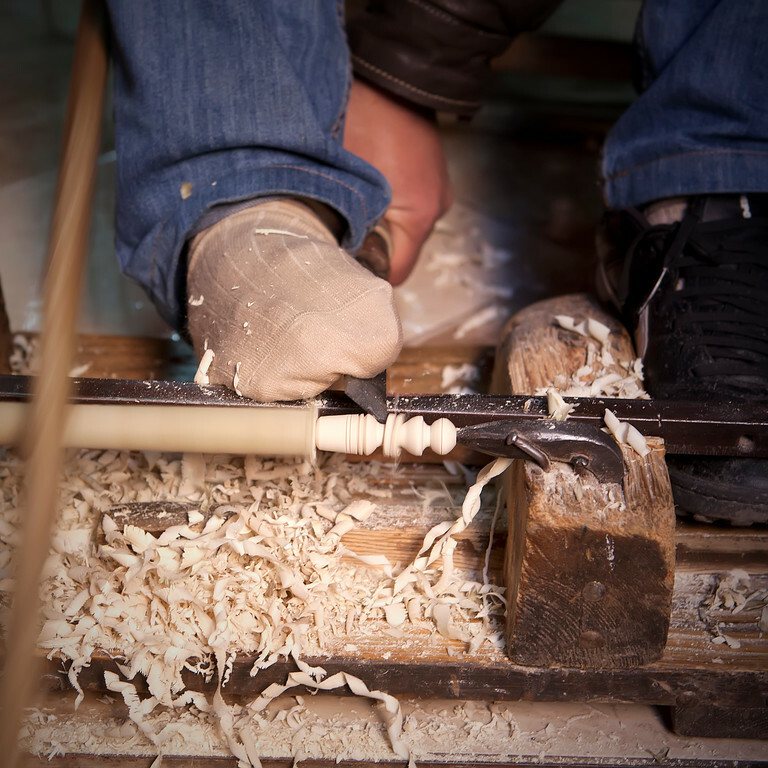 It is operated by using one hand to draw the bow back and forth, spinning the wood. And then a hand and a foot were used to carefully move the gouge to carve out intricate little designs. It was mesmerizing and I stood and watched for a while. I’ve taken two photos so you can see a close up of how it works.